“All Work and no play makes Jack a dull boy “….This proverb is so true about today’s children. We see more inactive dull Jacks spending time on computer, television, and video games. Studies are what make us educated and help us in better understanding of science, math, history, and environment. Sports on the other hand makes us healthier, teaches us many personality traits like leadership, team player. It encourages a sense of belonging, bringing people together, cheering your team. When cheering your team you forget about your everyday worries and enjoy sharing your unity and pride. ?Fight until the whistle blows: i.e. do not accept failure until the umpire blows the whistle. ?Never give up: we know our opponents are stronger than we are but today is our day and will fight. ?Do not make a foul, red card is there for you, i.e. if you make mistakes or cheat in life, your valuable time will be wasted trying to solve it. ?Do not be selfish: teamwork is one of the best to cope up with. ?Practice like you have never won a match. Either you lose or you win, it is the participation that is important, you will get more changes to win, determination is important. These lessons of life enables youngsters like us to channelize our energy; it encourages competitiveness and aggression in a personally and socially beneficial way. 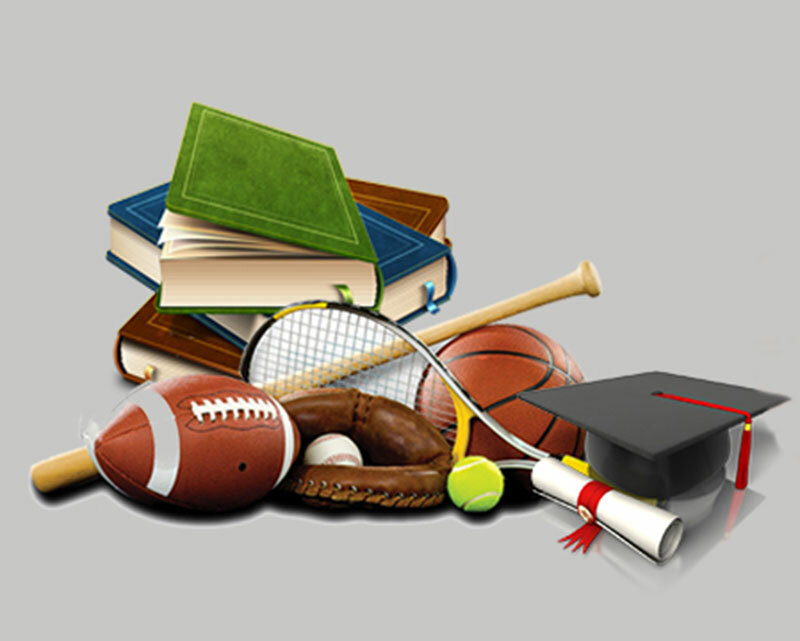 So friends Sports and education go hand in hand, they are like the two sides of the same coin.